When Anatalia was 16, her daughter, Serafin, was born. As a young girl at primary school in Ndhiwa, Anatalia was forced into a sexual relationship with her secondary school teacher. Throughout the pregnancy which followed, this man offered her no financial or emotional support – even suggesting that she have an abortion, a practice which, being illegal in Kenya, would have put Anatalia’s life in grave danger. Shortly after giving birth, Anatalia noticed that she was falling ill more frequently than usual with headaches and fevers. When she was finally able to access the medical support she needed, she received the news that she was HIV positive – and that by breastfeeding her daughter, she, too had contracted the virus. Whilst the Ndhiwa region has the highest rate of HIV/Aids in Kenya at over 25%, locally, it is still grossly misunderstood. People living with HIV often find themselves rejected from society because of the stigma still attached to the virus, despite the progress that has been made in recent years towards improving the treatments available. Still only a teenager, Anatalia found herself in the most desperate of situations: a new mother to a sick baby, unable to further her education, struggling to manage her own medication and facing a storm of prejudice every single day. 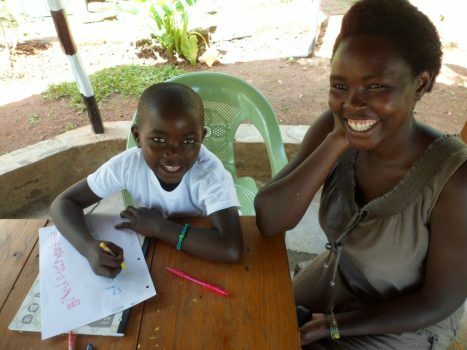 In 2011, Anatalia made the brave decision to attend a meeting of Team Kenya’s Girls’ Support Group. Here, she was welcomed without prejudice – as more than “just a girl with HIV”. She forged strong relationships with other girls and women who had faced many similar struggles, and was able to show a commitment to improving her situation and taking the opportunity to continue with her learning. Her passion and skill for football and her enthusiasm for meeting people outside of the small community she had always known proved that Anatalia had so much more to give than her current situation would allow. 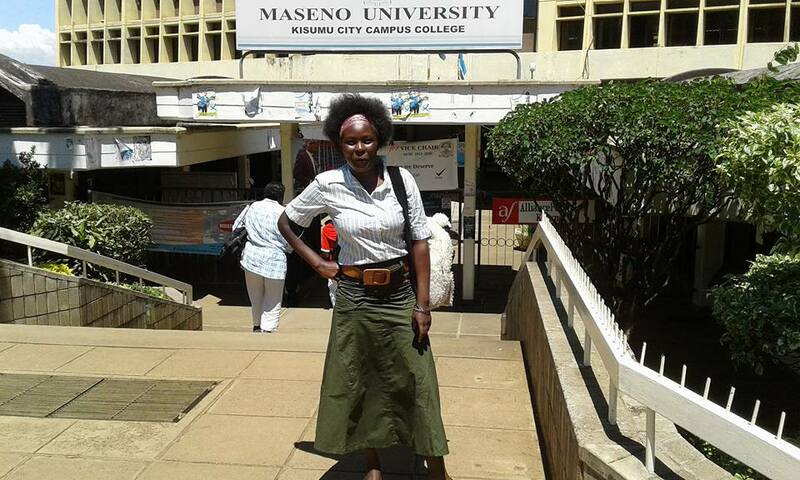 Team Kenya offered Anatalia a scholarship to support her through her secondary education and ultimately, all the way to Maseno University in Kisumu, where she is now a happy, active and positive undergraduate of Business. The Girls’ Support Group helped Anatalia uncover the confidence to break down the barriers that HIV stigma brought upon her. Team Kenya’s local grassroots partners have ensured that Anatalia knows how to properly manage her HIV status as well as that of her daughter, and also ensured that her baby’s father is no longer able to work as a teacher. But it was also about Anatalia’s self-belief. Her belief that an HIV positive diagnosis was not a reason to lose sight of her life goals and aspirations. Her belief that HIV stigma should be challenged, not accepted – and her determination to access the education she deserved, despite her many problems, so that she could provide Serafin with the best possible start in life.